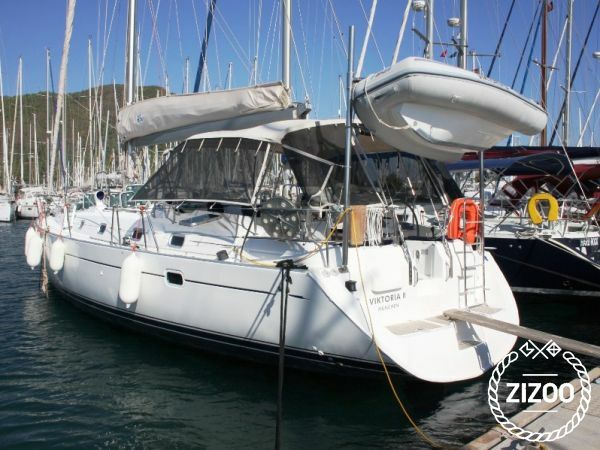 The Beneteau 50 was built in 2000 and is a fantastic sailboat for your dream sailing holiday. With 4 cabins that accommodate 10 guests, this boat is ideal for a quiet retreat with the kids or a getaway with your loved ones. A gorgeous sailboat, she is both inviting and comfortable. This boat is located in Marmaris Yacht Marina and is the perfect vessel for cruising from beach to beach and cove to harbour in Marmaris. The Beneteau 50 is a perfect model that is an attractive and glamorous vessel for your next sailing holiday. Stop dreaming and start booking now!.